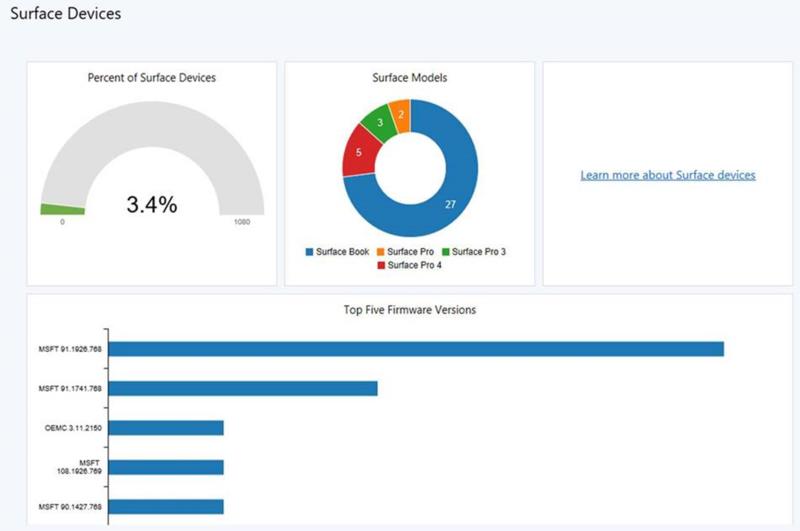 Beginning in version 1802, the Surface device dashboard gives you information about Surface devices found in your environment at a single glance. Click on the Monitoring node. To load the dashboard, click on Surface Devices. The Surface device dashboard shows three graphs for your environment. 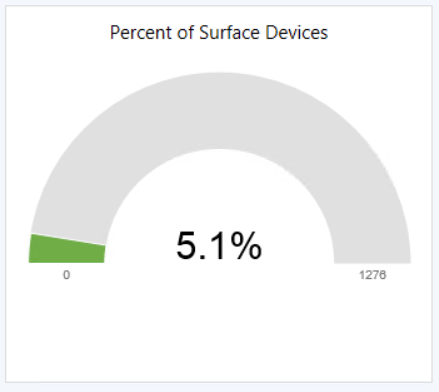 Percent of Surface devices -Gives you the percentage of Surface devices throughout your environment. Surface Models -Shows the number of devices per Surface model. 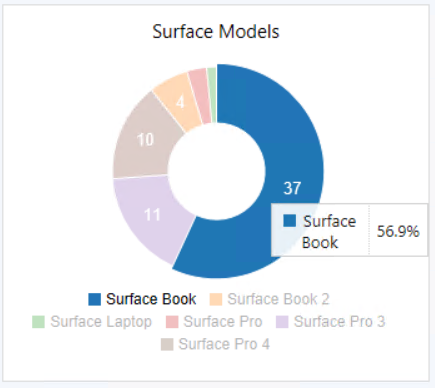 Hovering over a graph section will give you the percentage of Surface devices that are the model selected. Clicking on a graph section will take you to a device list for the model. Top five firmware versions- Displays a chart with the top five firmware models in your environment. Hovering over a graph section will give you the number of Surface devices that are the firmware version selected. Starting in Configuration Manager version 1806, clicking on a graph section displays a list of relevant devices. How to manage Surface driver updates in Configuration Manager.